Dr. Donald P. Francis, executive director and chief medical officer of Global Solutions for Infectious Diseases, will discuss "Confronting Deadly Epidemics Around the World" in a free public lecture at UC Santa Cruz on Tuesday, May 22. Part of the Distinguished Lecture Series marking the 10th anniversary of UCSC's Baskin School of Engineering, the talk will take place at 4 p.m. in the Simularium (Room 180) of the Engineering 2 Building on the UCSC campus. In his talk, Dr. Francis will discuss the approaches used to understand and control outbreaks of deadly infectious diseases. The tools available for control vary widely depending on the disease. Ebola is one of the most dangerous infections of humans, yet there are few tools available to control it other than simple isolation of infectious patients. At the other extreme are diseases such as smallpox and polio, for which safe and effective vaccines are available. A pediatrician and epidemiologist specializing in infectious diseases, Dr. Francis has over 30 years experience in epidemic control and vaccines. He spent 21 years working for the U.S. Centers for Disease Control and Prevention (CDC), focusing on vaccine-preventable diseases such as measles, cholera, smallpox, and hepatitis B. He directed the World Health Organization's Smallpox Eradication Program in Sudan and northern India and was a member of the WHO team investigating the world's first outbreak of Ebola virus in 1976. Dr. Francis has worked on HIV/AIDS since its emergence in 1981. He initially directed the AIDS laboratory at the CDC and later spent almost 7 years developing and assessing HIV prevention programs in the United States. His early efforts to call attention to the threat of AIDS and warn of the inadequacy of the public health response were chronicled in And the Band Played On, journalist Randy Shilts's account of the early years of the AIDS epidemic. Since his retirement from the CDC in 1992, Dr. Francis has focused on vaccine development. 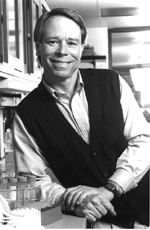 He helped found the International AIDS Vaccine Initiative, worked on HIV vaccines at Genentech, and started a new company, VaxGen, to focus on HIV vaccine development. He left VaxGen, where he had served as president, in early 2004 to cofound Global Solutions for Infectious Diseases along with Phillip Berman, now professor and chair of biomolecular engineering at UCSC. Dr. Francis earned his bachelor's degree at UC Berkeley, his M.D. at Northwestern University, and a D.Sc. at Harvard University. For more information about this lecture, call (831) 459-2158 or e-mail drecept@soe.ucsc.edu. Information about this and other upcoming events at the Baskin School of Engineering is also available online.